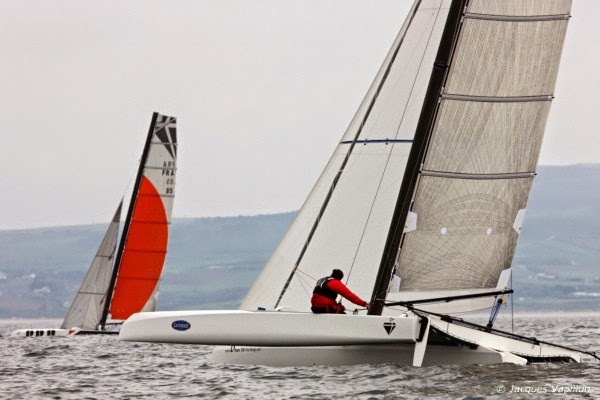 Nice to see a Trimaran Class develop. Diam has already a good level fleet racing OD, super achievement for this kind of projects. 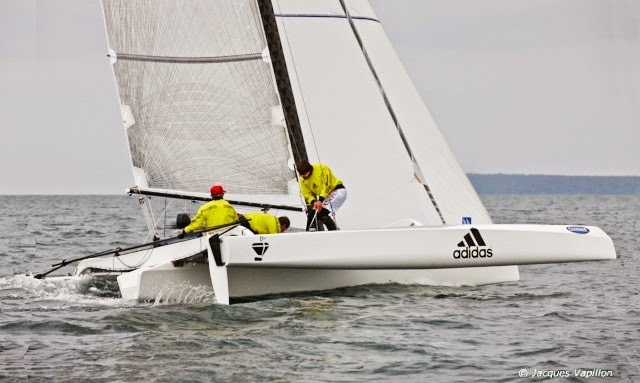 More info on the Diam 24 at diam24onedesign.com-- Images: Jaques Vapillion / Grand Prix Guyader. 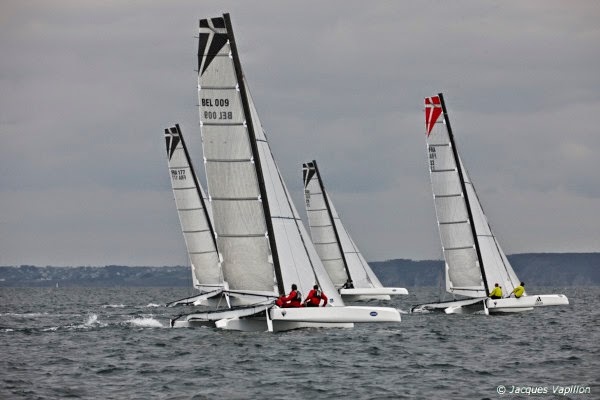 Report sent by Charles Haineville: "At the same time the Eurocat was taking place at Carnac, the Diam 24 fleet was racing at the Grand Prix Guyader, the first event of the Diam 24 Class. It was a success with renown sailors like Vincent Riou (Imoca) on his Diam 24 PRB, Lionel Lemonchois (skipper of Prince de Bretagne ) and the Olympic medalist Bruno Jourdren. 6 races ( 2 long distance , 4 Standard ) were done, from 3 to 15 Knots. Our max speed was 17,9 . 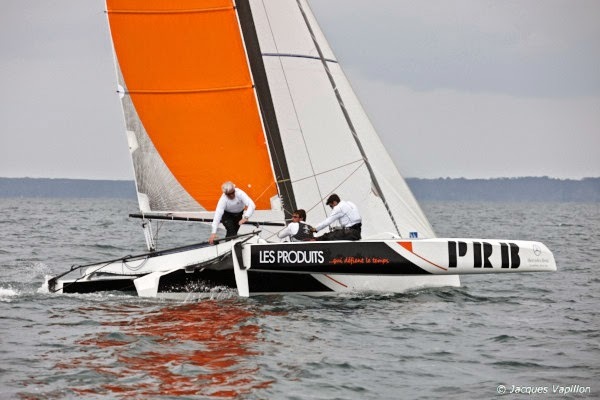 Finally Vincent Riou on PRB won, followed by Jean-Pierre Nicol and my Father Eric Hainneville . 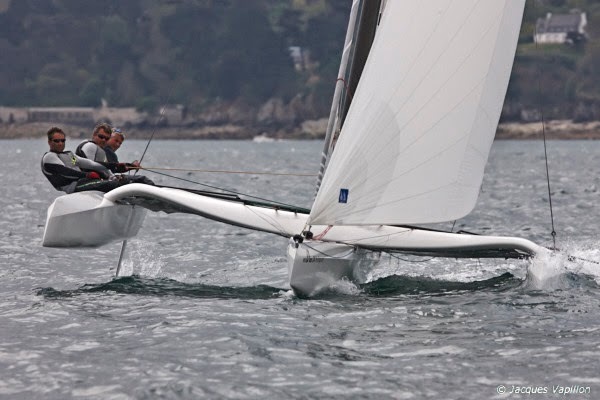 Next event, The GPEN, Grand Prix Ecole Naval end of May.